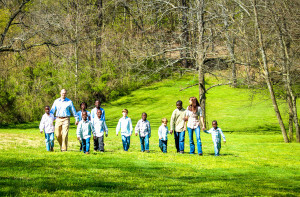 Jones Dozen – Jones family as we grew from 4 to 12 and now doing life together. 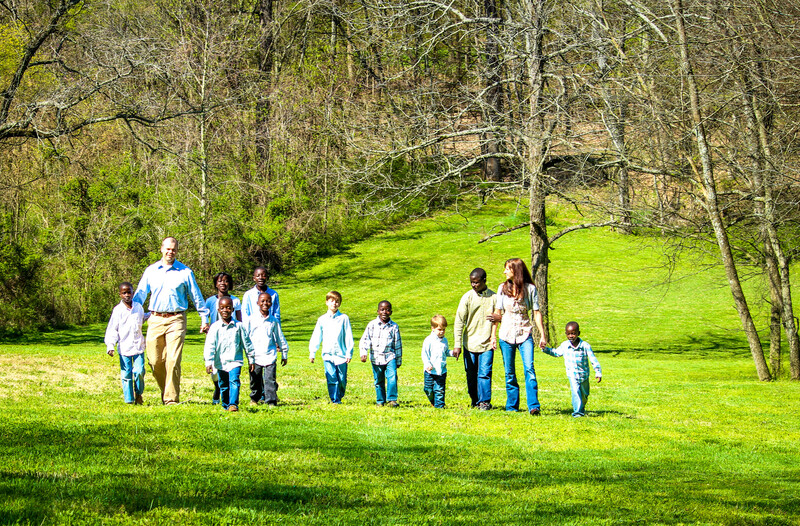 We started this site after bringing our 8 kids home after working on their adoption for nearly three years. 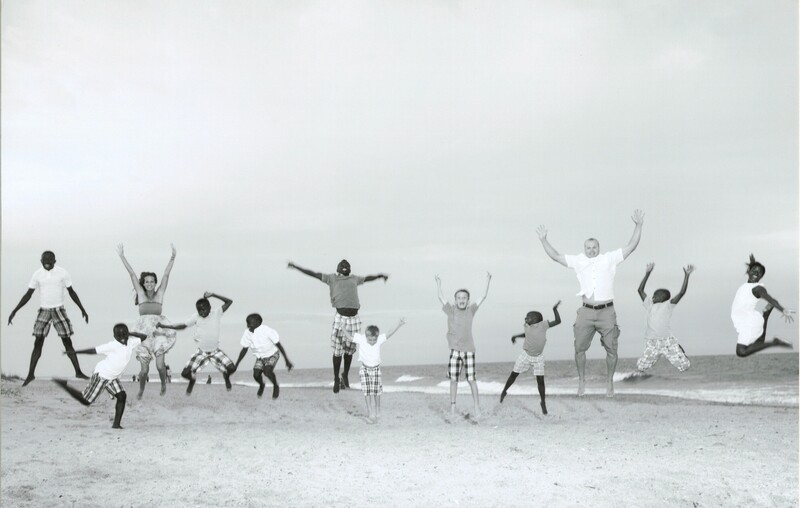 We hope to share with you some of the ups and downs as we live life together now as a family of twelve. Glad you’ll be getting to know us a little bit and allowing us to share with you our journey along the way! The day we were official a dozen members strong! We love being all together! Now living life as a family! The Jones Dozen from David Hedges on Vimeo. Hello! I came across your story and we are so close to home!! We are from summertown TN and in the process of adopting a little boy from an Armenian orphanage. We took one of pictures and turned it into a 1,000 piece puzzle and set out to find 1,000 people to sponsor him for $20.00 in the process we were so humbled by all the people who are stepping forward. We are going to try to turn the noahs ark fund into a 501c3 nonprofit that will give a yearly grant to a middle TN family. We are going to try to raise 20,000 annually into this fund. your success story gave me hop we may be able to do it!! bless your family! My name is Josh, I’m a producer for Australia’s #1 breakfast TV show Sunrise. I was wondering if you’d be interested in appearing on our show to tell us about your new adoptive family. We think it’s a really great story, and we’d like to do a live cross to you at a local studio at your next available convenience. It would be wonderful if you could agree to do us first before any other Aussie TV media. We could do the cross at around 5pm US time one day this week which is around 8am aussie time. Or if better, we could do it at 2pm your time which is around 5am aussie time. If you’re happy to go ahead, i’ll find out where the nearest tv studio is.. ideally i’d love to have the whole family in shot. Do you have a contact number i can contact you on? Hi, my name is Jessica. My husband, Scott, and I are in Northwest Illinois. 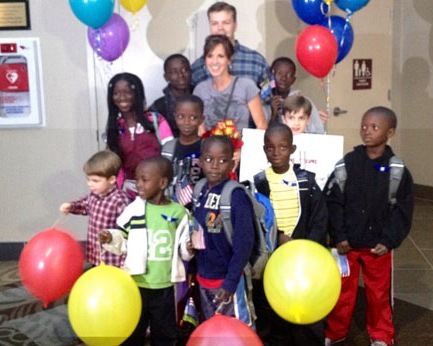 In December 2012 we started our journey to adopt twins, Jacobi Israel and Precious Hope, from Sierra Leone. Their mother Bendu, died as a result of childbirth. The children when found, along with their grandmother, were near death. Jacobi passed away at 3 months. We continued on. In September of last year I got to spend about 3 weeks with Precious. We were hopeful that by Spring of this year we would have officially adopted her in Sierra Leone and be applying for the visa to bring her home. Unfortunately she was diagnosed with Hydrocephalus, water on the brain, in December. She was a fighter having already overcame so much including measles and malaria (I got to care for her during this time), diseases all to frequent there as I’m sure you know. After much deliberation with the orphanage and doctors a decision was made to perform surgery. She died in January, the morning she was to have surgery. I am sorry to “dump” our story on you but we have found no other couples adopting from Sierra Leone (we had trouble finding an agency willing to work in Sierra Leone), and we are now moving forward, continuing on, and trying to adopt an older child from Sierra Leone, open to whatever happens in that process again. We’d love to connect with you if ever possible – email, facebook, in person (we have friends in TN and family in North Carolina so are often through the state). I realize you don’t know us so hope that is not too forward. We have been surrounded by so many great family and friends and church but sometimes it’s lonely as it’s hard to explain what I saw, what we have experienced with the paperwork in both countries, and where our kids would have and may still come from. We have a facebook page and website if you want to know a little bit about us. If nothing else thank you for taking the time to read this. Hello! I recently heard about you adopting children from Sierra Leone. I literally brought tears to my eyes. I am a Nashville native, however my family is from Sierra Leone. I would absolutely love to meet all of you! If there is anything you need or any way that I can help, please do not hesitate to ask. I am fluent in Krio. My parents were born and raised in Freetown, Sierra Leone. They have resided here in Nashville for 30+ years now. May God continue to bless you and your family! So relate with God picking a child for you…. 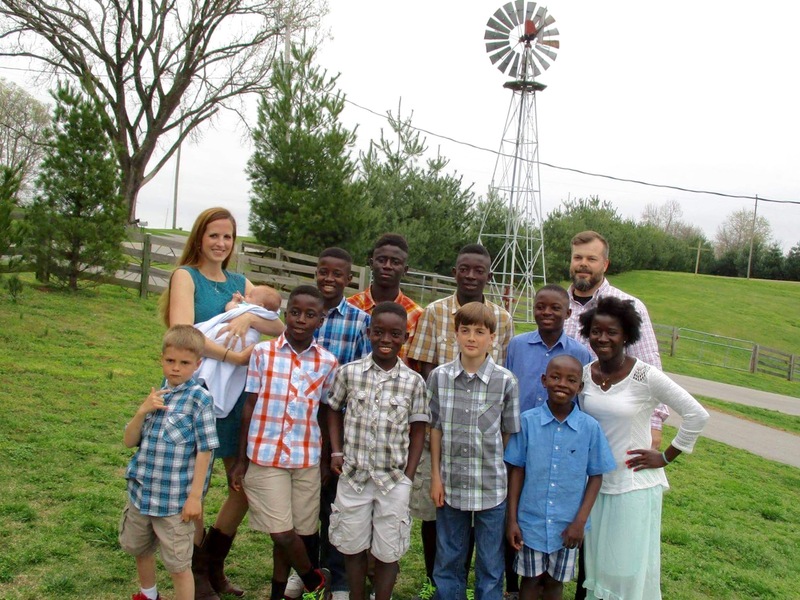 He did the same for us and we have adopted twin infants from Sierra Leone… We have finalized the adoption, but are waiting on immigration. We even got to name them!! Sorry for the delay in responding to you! Please send us an email to info@jonesdozen.com and we’ll get back with you A.S.A.P. We don’t always get messages off the board that quickly.